Jane Tolerton is an experienced historian and a lively story teller. Her two books on Ettie Rout have been immensely popular. Now she has written a well-researched account of New Zealand women’s work overseas in the First World War, including gripping stories of heroic women such as Ida Malone (wife of Col. William Malone), Dr Grace Russell, and Kitty Mair (daughter of Gilbert Mair). At her public talk to the Friends of Turnbull Library on 9 November, about 150 people – including some descendants of the women she has written about – turned up to be entertained and enlightened. “Make Her Praises Heard Afar: New Zealand women overseas in World War One” has been published by Booklovers Books. Auckland researcher Ryan Bodman has been awarded the 2017 Friends of the Turnbull Library Grant of $15,000 to assist in researching his new project, a social and cultural history of rugby league in New Zealand. 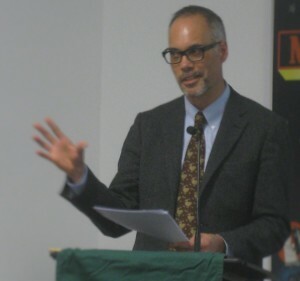 Ryan Bodman is an independent researcher, at present a contracted historian to the Waitangi Tribunal. His project arose out of his earlier research into the trade union movement, when support for the game of rugby league – introduced into New Zealand in 1907 – emerged as a recurring theme. Dr Gerri Kimber, who was awarded the 2015 FoTL Research Grant to write a biography of Katherine Mansfield’s early years, has now had her book published by Edinburgh University Press. 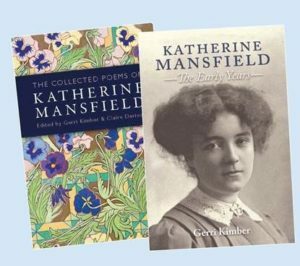 The New Zealand launch of this book, KATHERINE MANSFIELD: THE EARLY YEARS, and a new book of THE COLLECTED POEMS OF KATHERINE MANSFIELD (edited by Gerri Kimber and Claire Davison and published by Otago University Press) will be held at the KM Birthplace in Wellington on 15 November. Christchurch researcher Jarrod Gilbert has been awarded the 2016 Friends of the Turnbull Library Grant of $10,000 to assist in researching his new project, a social history of New Zealand focussing on the crime of murder. 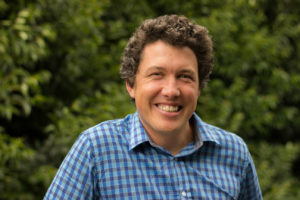 Jarrod Gilbert is an independent researcher, a part-time university lecturer in sociology, and a columnist for The New Zealand Herald. Paul Diamond, Curator Maori at the Turnbull Library, talked about the current exhibition in the Turnbull Gallery, “Not One More Acre …”, commemorating the Land March of 1975. The emphasis was on photographs, starting with the “defining image” of Whina Cooper and her mokopuna, as Paul explained the enormous significance of more than 250 colour photographs taken by an American, Christian Heidegg, which were donated to the Turnbull but are now serving an important new role in jogging memories and helping illuminate the sequence of events and the simultaneous process of consciousness-raising which occurred. 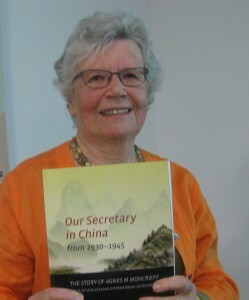 Barbara Francis at the National Library on 10 November with her book “Our Secretary in China” published in 2010. 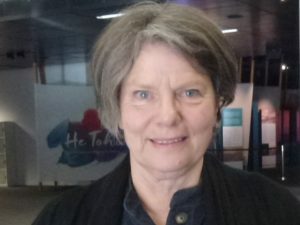 On 10 November Barbara Francis, Wellington researcher and retired teacher spoke about Agnes Moncrieff and China, 1930-1945: ‘You don’t travel in China at the full moon’. Agnes (Nessie) Moncrieff worked as International Secretary with the YWCA in China from 1930 to 1945, describing her experiences and achievements in vivid weekly letters to friends and family and in monthly reports to the YWCA in New Zealand. Barbara Francis became a close friend in Nessie’s later years, and then she spent eight years transcribing and annotating Nessie’s papers – deposited in the Turnbull Library. She has now transcribed and edited Nessie’s correspondence for publication by Victoria University Press. A collector of yacht racing trophies! On 13 October Peter Scott, with Philippa Durkin from the Rona Preservation Trust, spoke about the campaign to save the Rona: Alex Turnbull’s racing yacht. The Rona, a classic kauri racing yacht built for Turnbull, has been called as historically significant to Wellington as Katherine Mansfield’s house. Peter Scott (a former National Librarian) told the story of Alex Turnbull becoming a keen yachtsman and commissioning his first racing yacht in 1892. The wealthy young businessman – already an avid book collector – was happy to devote most of his weekends to yacht racing. 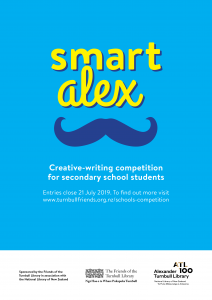 And he was unstinting in his energy and enthusiasm: he bought smart outfits to look like a sailor, but he was also definitely competitive in his desire not just to take part but to win his races. 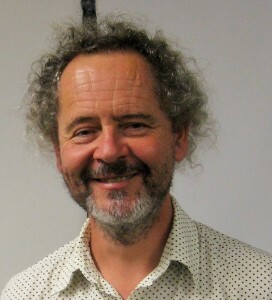 On Tuesday 8 September, Fergus Barrowman, Wellington publisher and literary editor, spoke about New Zealand Publishing Today, exploring trends in New Zealand publishing from the perspective of his 30 years as Publisher of Victoria University Press. Changes in technology, dwindling numbers of stock-holding bookshops, the influence of Bill Manhire’s creative writing course, the continuing need for subsidies and many other aspects of the book trade were covered in Fergus’s excellent overview.